So this past week has been crazy were finalizing things for BEA/Bookcon and I'm trying to get through as many books as I own so I can take the ones I don't want to the used bookstore to sell them off grab some others I might want and well have some extra money for the trip to Chicago. 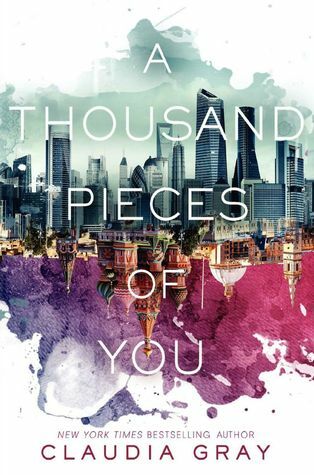 So the first one is A Thousand Pieces of You by Claudia Gray. Ive had this book on my shelf forever! I don't even remember where I got it lol. But for me this one turned out to be a DNF! The story was very descriptive to the point where I wanted to start skimming. Then well lets just say that the girl in this our MC just falls for the person who she thought killed her dad. So the whole first part of the book was kinda weird. Then we get a love triangle and a few other things so I was kinda done at that point. The world building was amazing but the descriptions were done a little to much.